6 Compare with Schipper 2000. This effect is also known as Khazzoom-Brookes postulate. Brookes advanced the argument (Laitner 2000, 471). For a recent history of the rebound effect see Schipper 2000. It is suggested that in practice the rebound effect is not high enough to subtract the potential contributions of EE to the reduction of carbon emissions or the justification of EE policies.8 Nonetheless, some implications for policy follow from this. 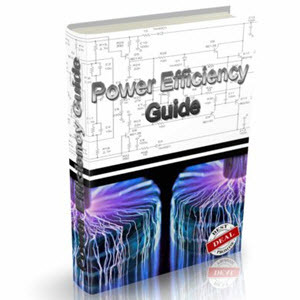 Energy-efficient technologies (EETs) may need to be reinforced by market instruments. A continued measurement and explaining effort should be put on to the rebound effect as economies are complex and changing.9 Henry Saunders argues that '(...) energy efficiency gains can increase energy consumption by two means: by making energy appear effectively cheaper than other inputs; and by increasing economic growth, which pulls up energy use'.10 The debate grew more intense in the 21st century, spurred by concerns about global warming. The argument for EE, however, is independent of environmental concerns. The market failure that distorts energy use is the under-pricing of energy by regulators. 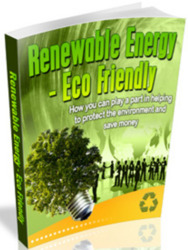 Deregulation, therefore, is preferable with regard to EE as utilities are forced to reduce energy prices. 7 Berkhout et al. 2000. 8 Berkhout et al. 2000; Greening et al. 2000; Laitner 2000; Schipper 2000. According to Schipper micro rebound effects for the energy end use might depending on initial costs, income and energy price range from 10—40 per cent (Schipper 2000). A large body of international literature puts effort into an empirical approach to this question with different objects of investigations and findings. Governmental stimulation of the implementation of new technology by promoting associated research and development was found to be counterproductive. Although it leads to technological progress, it may hinder corporate investments in new technology. Firms may favour to wait for the next generation of technological developments.16 In the case of restructuring electricity market, pro-interventionists ask whether the market alone is able to overcome EE barriers. It is argued that governmental support in promoting EE and load management can be advantageous.17 Further, an evaluation of US energy labelling programmes led Banerjee and Solomon to the conclusion that, '(...) government support is the most critical factor for the success of a labelling program'.18 Altogether, the challenge of reconciling government and free market contributions with regard to the energy market and EE remains. 12 Helm 2002. In general, the definition of market failures depends partly on the societal goals which are seen as important within a society (for example, equity). The free market system may fail to achieve these goals. Economists have identified a number of market failures which partly explain this: externalities, lack of information, uncertainty, the existence of public goods or the time which is needed to response to a changing environment (Sloman and Sutcliffe 2000). 14 Haugland et al. 1998, 47. 15 For a general discussion on benefits and drawbacks of free markets and government intervention see Sloman and Sutcliffe 2000. 16 Van Soest and Bulte 2001. 17 Vine et al. 2003. 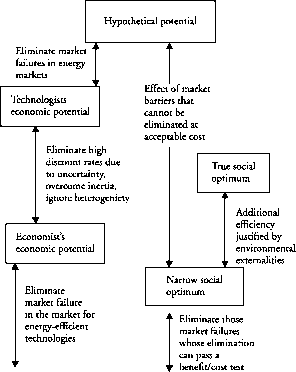 18 Banerjee and Solomon 2003, 121.
additional elimination of market failures in fuel and electricity markets.19 This framework is summarized in Figure 4.1.